Guam is part of the United States of America, but it still uses a unique Guam flag in order to represent itself. 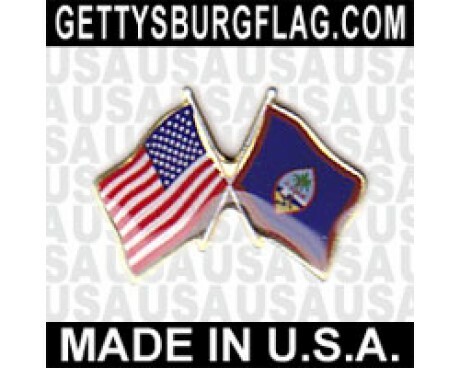 Guam flags subtly show the region's connection to the United States while also including symbols of the island's unique features, which makes the flag an excellent symbol of Guam's politics and culture. 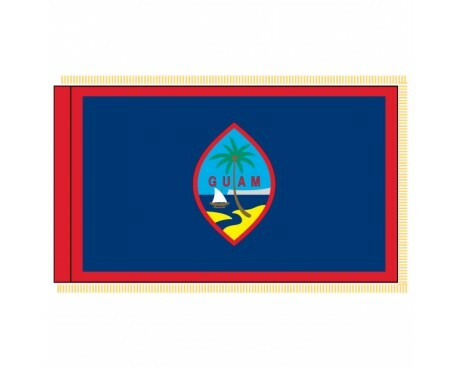 Guam flags feature a solid blue field with a red border that proudly displays the Guamanian coat of arms in the center. The coat of arms includes a ship sailing past a beach with a palm tree growing out of it, which reflects the importance of the sea and the island's natural features. 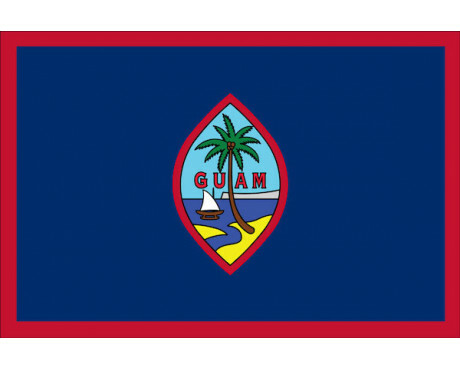 The blue field and red border reflect the flag of the United States of America, which serves as a subtle symbol of Guam's connection with the rest of the United States. 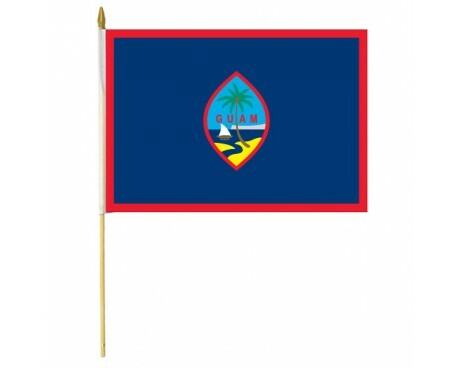 The current Guam flag is the first flag that has been unique to the island, but it is not the first flag that has represented the area. Guam became part of the Spanish Empire in 1565, and the flag of Spain became a symbol of the island at that time. The Spanish flag of the time features the cross of Burgundy on a white field, but that flag changed several times before Spain ceded control of Guam to the United States. Guam became an American territory in 1898 as a result of the Spanish-American war. 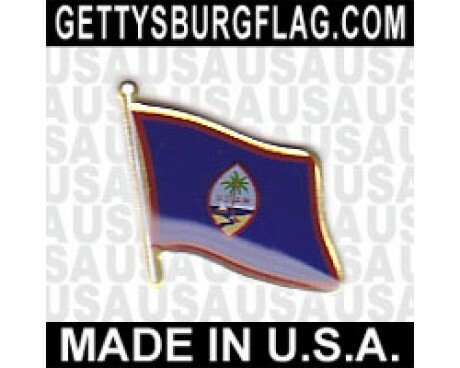 It would take many years for Guam to gain a flag of its own, but it did begin to use the national flag of the United States immediately after it America took possession of the island. The government of the United States built several military bases on Guam, and those facilities flew the national flag. Japan occupied the island for part of the second world war, and the flag of the Japanese Empire flew over the island during that period. Guam gained its modern flag in the aftermath of the second world war. It came into use in 1948, but the original design lacked the border that characterizes the current flag. The border came into use in 1960, which created the design that has been used ever since.